Human bodies are amazing machines…when they are functioning properly. The body functions best when in a state of “homeostasis”….when it is in a state of balance. When our body weight is normal, our health is good, we are mentally happy and exercising regularly our bodies are in a state of metabolic balance allowing our hormonal systems to function at peak performance which in turn keeps us healthy, our weight stable and disease at bay. 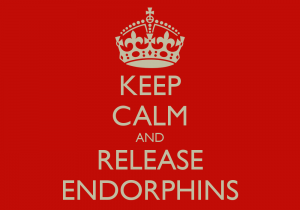 Strenuous exercise is one of the ways that body releases endorphin’s. 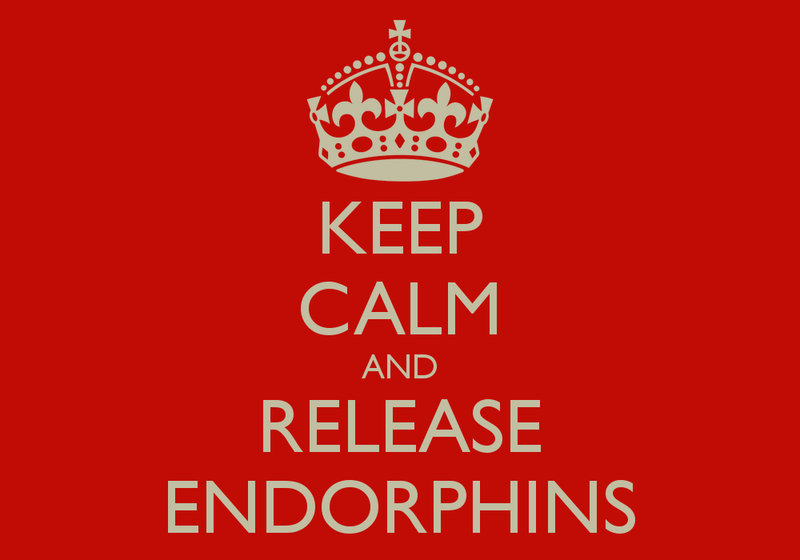 Endorphins are chemicals that reduce pain by interacting with receptors called neurotransmitters in the brain. They produce positive happy feelings in the body (very similar to morphine). When endorphins are released while exercising, they are often called “runners high”…energizing a positive outlook on life. Leptin is a major player in the war against “rebound weight-gain.” You know…the weight that you worked so hard to take off that is creeping back on. Studies prove that there is an important connection between the hormone leptin, weight gain and inflammation. Because leptin regulates your body’s level of fat by controlling your appetite and metabolism, it’s obvious that the more fat tissue you add, the more leptin is produced by your body. For healthy people this process leads to leptin suppressing the appetite but speeding up the metabolism causing them to feel less hunger and burn more calories resulting in loss of excess fat, the way the process is supposed to work. There is a metabolic state in which the human body operates most efficiently and can only be achieved by eating the correct proportion of carbohydrates, fats and proteins in every meal. 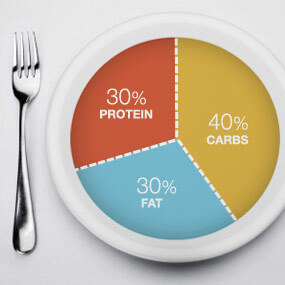 The 40-30-30 eating plan is a popular way of eating that favors a ratio of 40% carbohydrates, 30% protein and 30% fat. 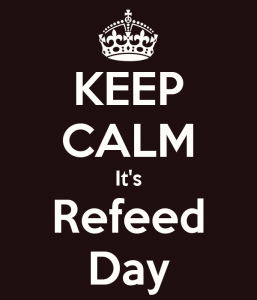 This kind of ration/diet works to stabilize blood sugar and helps control hunger. It works to curb food cravings and promotes weight loss yet supplies enough energy so that an effective exercise program may be undertaken. Hormones are chemical substances produced in the body that control and regulate the activity of certain cells and organs. Life would not exist without hormones doing their jobs; they essentially affect every activity of life…digestion, metabolism, reproduction, growth and mood. 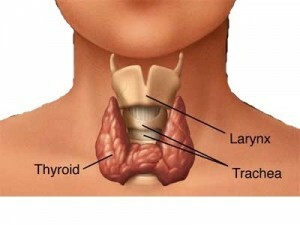 Thyroxine, one of two thyroid hormones (the other is triiodothyronine) is incredibly important because it controls the rate at which our cells burn energy…in other words, our metabolic rate. Hunger. Do you really understand what it is? 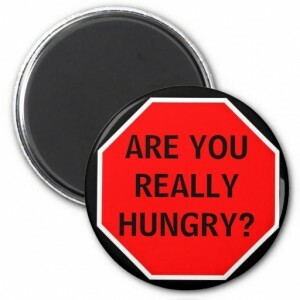 Hunger is a signal that your body sends out that helps to maintain the state of our bodies, highly evolved survival machines built to withstand periods of harsh conditions. The human body is finely tuned and very sensitive to reductions in food intake so when you try and go for long periods of time without eating, your body quickly responds in an attempt to curb your intent. Hormones are the chemical messengers that give instructions to cells, tissues, and organs. When a message needs delivering to a certain body part, hormones are secreted into the bloodstreams where they are transported to the to the specific hormone’s receptors wherever they may be situated. 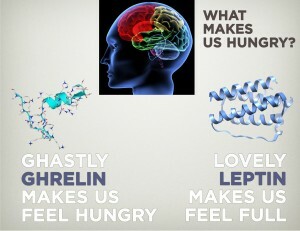 Researchers have recently discovered a hormone called ghrelin that kicks our appetite into top gear when out tummies are empty. 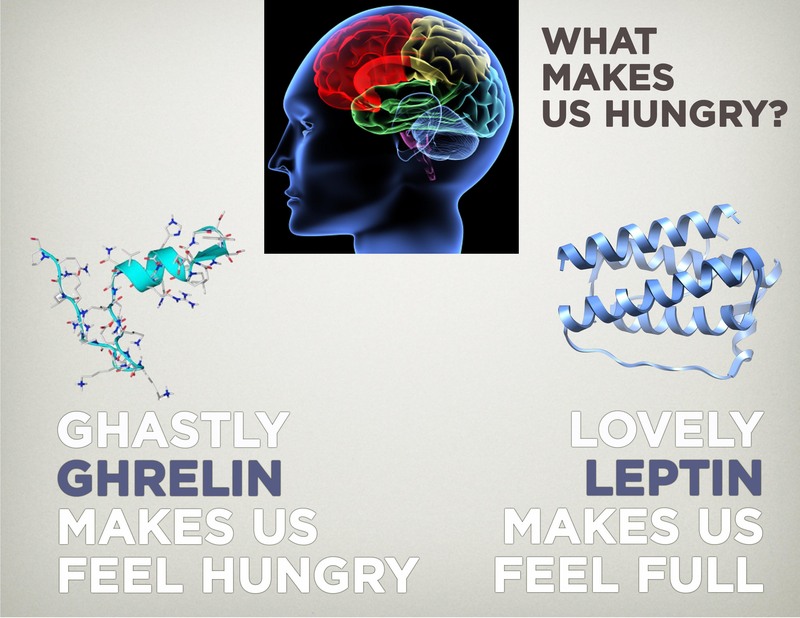 Ghrelin prompts us to eat and it is believed that ghrelin is one of the means used by the body to protect is body fat stores when it senses a food shortage. There are numerous hormones in the body that are going to impact how you feel and function on a day to day basis. 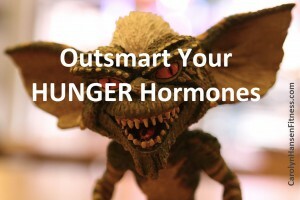 In order to best be able to see successful weight loss and function, you need to learn how to optimize these hormones so that they are working for you rather than against you. 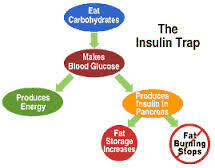 Insulin and leptin are two important hormones that you must pay attention to if you are to free yourself from the “weight rebound” cycle. Cortisol is the other hormone that you need to make yourself very aware of as it plays a key role in your progress that you will notice. Corisol is the stress hormone and is associated with the “fight or flight” response which basically causes a large amount of glucose/energy to be pumped into the blood stream in case you need it for survival. All this energy was, for very obvious reasons very important back in ancient time when humans encountered wild animals and would need to run very fast and far towards safety; a very a stressful situation at best. For the most part in modern society we just don’t encounter those types of situations anymore and we’re much more likely to be sitting at a desk when stress comes knocking. You simply don’t need the same dose of energy to make it through. This means that this large amount of sugar sits in the blood temporarily before it’s taken up by a flood of insulin that comes to the rescue. But guess what? Where do you think that insulin is going to hide this excess sugar? In your body fat stores...those will be the primary targets. The more cortisol you have in your body, the more chances you have of gaining excess body fat. Not your goal for sure. And, to make matters even worse, the place you are most likely to gain body fat when cortisol is at work is the belly fat region. If getting a lean midsection is part of your plan, the number one thing you need to be doing is to make sure that you are controlling your stress levels so that cortisol does not enter the picture nearly as often. 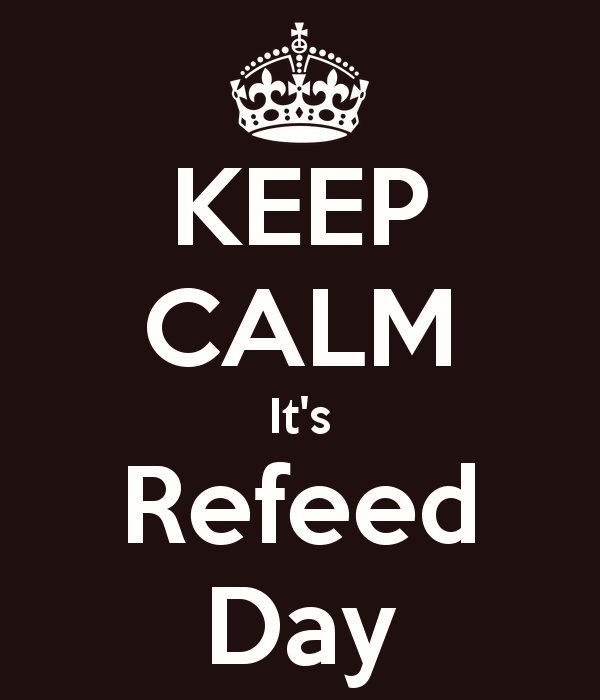 Many people react to stress and the production of cortisol by eating more foods that are higher in carbohydrates. This will definitely lead to weight gain. Many things will impact the release of cortisol but stress (emotional, mental or physical), lack of sleep and a very low calorie diet are the big ones that I am aware of. 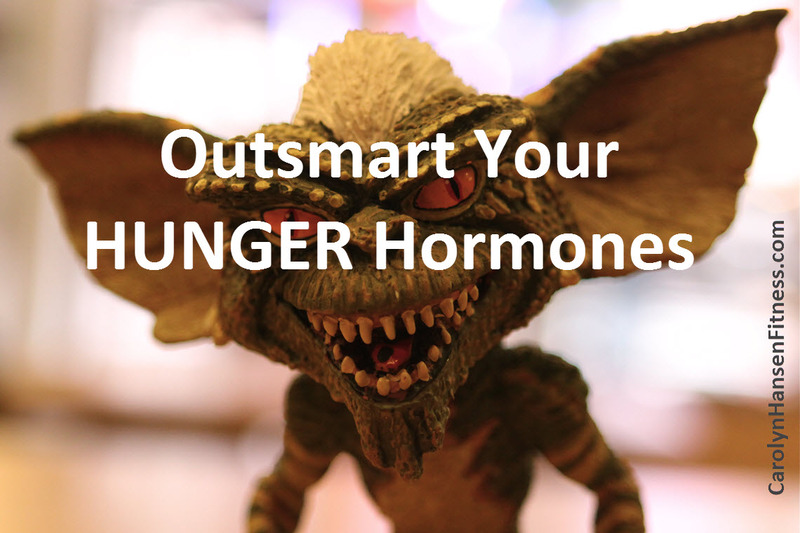 Another reason to gain control over this hormone is that it will make you feel generally run-down, weak and tired. You must work to eliminate it as much as possible from the picture. With our modern lifestyles, many of us face chronic stress as a way of life…which means we have elevated levels of cortisol. When the levels of cortisol are high the body thinks it needs extra fuel and unfortunately that storage happens around the middle…in the abdomen, often referred to as the “spare tire”. With the proper diet set-up, you can easily control all three of the hormones (leptin, insulin and cortisol) that play a role in weight loss so that they don’t become a problem that they otherwise would. Setting yourself back significantly in your results is not going to help how you feel as you go about that diet plan in the first place. 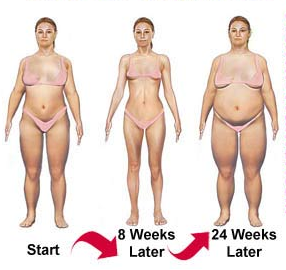 “Rebound Free Weight Loss” your ticket to the body you’ve always dreamed of.